TUFboard’s Kinbo Collection offers cellular PVC decking with attractive and natural wood grain patterns. 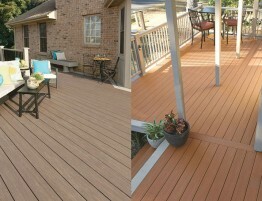 Variegated colors simulate the streaking of wood to create the most realistic looking decking material in the industry. Kinbo boards are reversible and come in several colors. Kansas City Deck Supply carries TUFboard Kinbo in four beautiful colors: Burnished Maple, Hickory, Brazilian Teak, and Warm Walnut. The Kinbo Collection is engineered for strength, durability, and low maintenance. It will never need staining, painting, sanding, or sealing. It won’t splinter, crack, or rot. UV protection allows for exceptional color retention. It is scratch resistant and has a non-slip surface. It is resistant to insects, including termites. Simply give it an occasional cleaning with soap and water and you’re set. 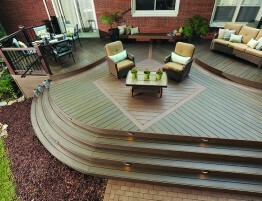 Kinbo decking is available in a square-edge board that is capped on all four sides. Kinbo is designed for easy installation. 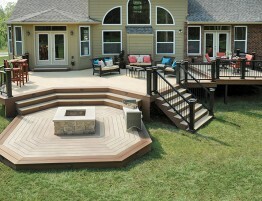 Color-matched fascia is also available to complete your deck design. 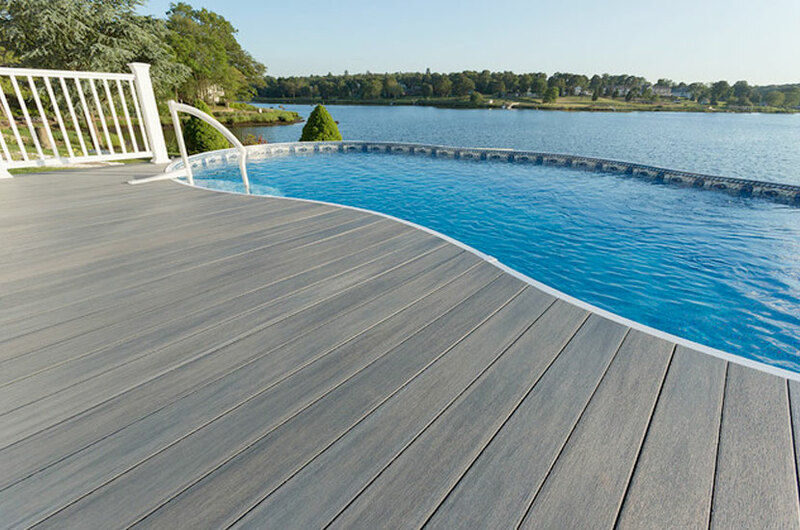 With a 25-year limited lifetime warranty and a 25-year fade and stain warranty, you can be confident that you’ll be enjoying your new deck for years to come.